A watch is an accessory that reflects personal style and makes an immediate statement without you saying a word. For the most part, watch brands take a conservative route and adhere closely to similar designs. Gevril is a brand that deliberately goes against the grain. 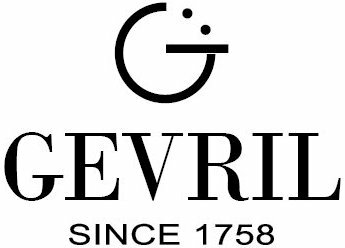 Samuel Friedmann, who owns the historic brand, even says that Gevril watches aren’t for everyone. They are a unique and exclusive offering, only producing a mere six thousand pieces a year. The rectangle-shaped Gevril Avenue of the Americas Serenade collection for men exhibits this attitude with a two-time zone complication, one of the most functional in modern life. In today’s global interaction we are constantly juggling contacting people in different parts of the world or country for personal or business reasons. This watch allows you to immediately know at a glance what time it is in the second city of your choice. The beveled dial of the Avenue of the Americas Serenade collection is clean and sleek. It uses an artistic skeletonized hand co-axial to the hours and minutes hands to unobtrusively indicate the second time zone. What elevates these watches to the next level in functionality is the inclusion of not one but two day/night indicators for each time zone, which are located at 9 o’clock for the second time zone and 3 o’clock for the first time zone. A white color within the circular aperture indicates “am” while black is for “pm”. This way there isn’t any confusion about whether it’s midnight or lunchtime in wherever you are or are looking to be. A convenient date window resides at 6 o’clock and is linked to local time. The Avenue of the Americas dial is not only clever in its functional design but luxuriates in the details. Stylized and hand painted Arabic numerals ring the perimeter of the dial set against a lovely guilloché pattern, while the minutes track rings a sunken rectangular shape surrounded by the numerals, adding depth and texture. In a 34×44 case based on one found in the Gevril archives, the Avenue of the Americas Serenade collection combines retro styling with modern flourishes on the dial to make it not only current but also timeless. The pusher at 10 o’clock controls the second time zone, making adjustment quick and easy. 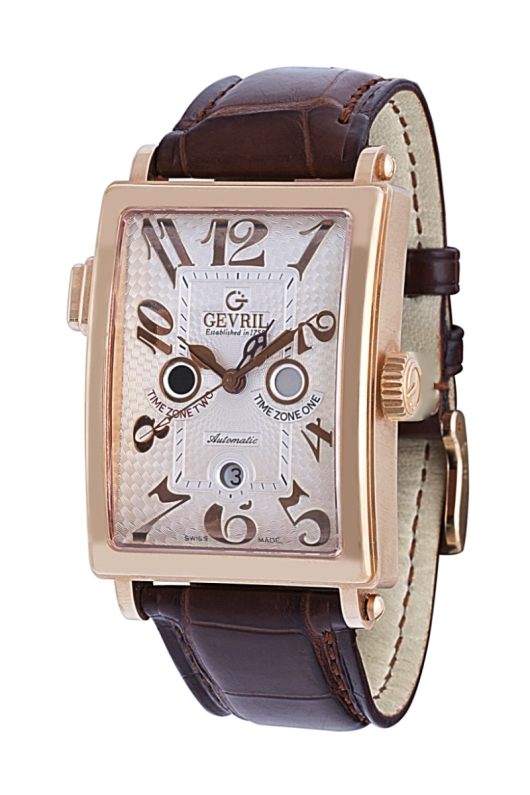 All Gevril timepieces are Swiss made using the highest quality of materials. Powered by a Swiss automatic movement with an engraved rotor, which can be viewed through the sapphire crystal back, the Avenue of the Americas Serenade collection comes in two case metals with limited editions of 50 pieces in stainless steel and 18K gold and 50 pieces in 18K white gold. For the man who dares to pick something different from the norm to express himself, the Gevril Avenue of the Americas Serenade provides a unique option that isn’t found on every wrist. Just like every man, the Gevril Avenue of the Americas Serenade has its own identity. 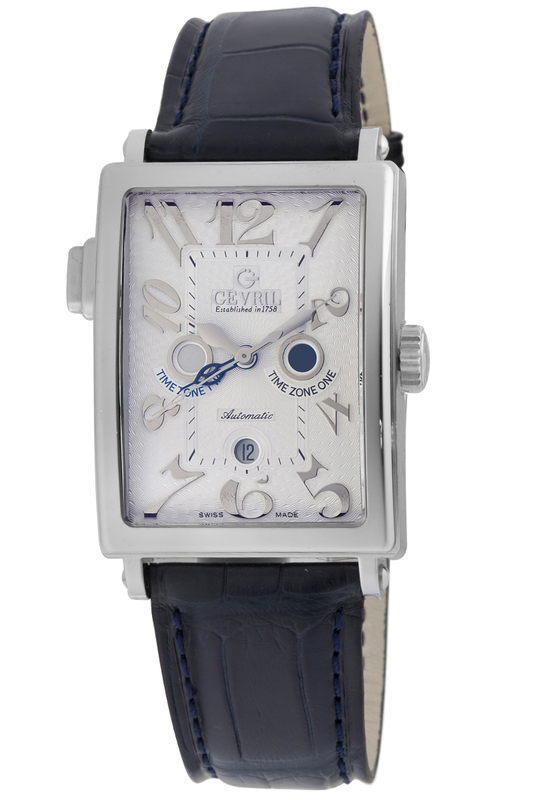 Purchase your Gevril watch from an authorized Gevril dealer.